While you may already be familiar with the Social Media Tracker and its capabilities, let’s dive into the details on how to work with Poster. 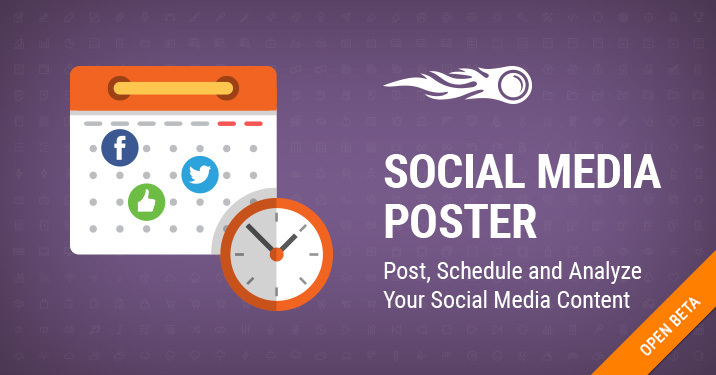 Go to your project or create a new one, and set up the Social Media Poster. Connect your Facebook and Twitter accounts. Once you’re in the tool, click on the ‘Connect’ button and follow the steps for our wizard. 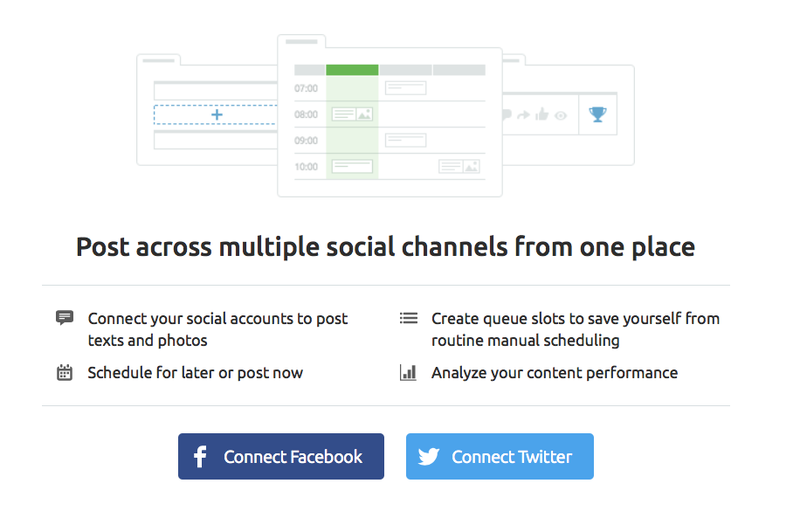 Set your scheduling plan for each social media network. Click on the ‘Settings’ button at the top right and edit your profiles to set time slots, or in other words, goals, for posting. You can post at the same times every day or at different times on weekdays and weekends. Set time for your posts and save your changes. Create your first post. Go back to the Calendar and click on any slot in it or the ‘New post’ button in the top menu. You can insert text, images and links. After your post is ready, you can select one of the four options. Analyze your content’s performance. Go to the ‘Published’ tab to see your released posts. Here you can track your engagement: likes, reposts and comments. You can filter the posts by hashtags. Get additional post ideas. Go to ‘Content Ideas’ to add your favorite blogs or RSS feed URLs and post about them in one click. Use the drag-and-drop feature in the Calendar and ‘Queue’ tab to easily move your posts. Check your publishing goals at the top to be sure that you’ve completed your goals for today. Use the set of hot keys to make your work faster -- hold the Alt key for a few seconds to get a full list of hot keys. You can also check this list in the tool’s settings or deactivate them. Since the Social Media Poster is in open beta, your opinion is very important to us. Should you have any feedback or ideas, do not hesitate to drop us a line at [email protected]. And stay tuned as we will add other social networks soon!